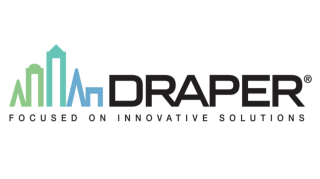 Draper (booth 2347) is now the exclusive source for the broad Smart Media Solutions (SMS) line of casings, mounts, and structures for LCD displays in North America. This offering complements and strengthens Draper’s Custom Audiovisual Solutions range and is represented at InfoComm. The Smart Media Solutions (SMS) Shadow Casing is an advanced outdoor system for digital signage displays measuring 55 inches. Featuring what the company calls “unbreakable” Hammerglass, a powder-coated aluminum body, quadruple compression locks, rubber seals, water mazes, and filters, the SMS Shadow Casing is designed to protect against vandalism, water, and dust from all directions. With an IP55 classification for outdoor use, the SMS Shadow Casing features hinged doors with gas springs to allow access to filters, fans, and heaters. The SMS Shadow Casing includes sensors placed in the middle of the system with active thermostats for a controlled environment and protection of the display while sending signals to the heating and cooling system. Dealers can select their designed color, including black, anthracite gray, silver, white, or custom colors, as well as wall-mounted or freestanding version. The SMS LCD Videowall Structure creates a basic platform for LCD videowall displays. Designed to be completely customizable to fit the customer’s need, the LCD Videowall Structure can be designed as large or as small, as needed, while including tilted or curved arrays, cladding panels, and scissors mounts to access individual displays and rack mounts. Located in Sweden, Draper’s Smart Media Solutions (SMS) a is wholly owned subsidiary of Draper Inc., part of the Draper family of brands.